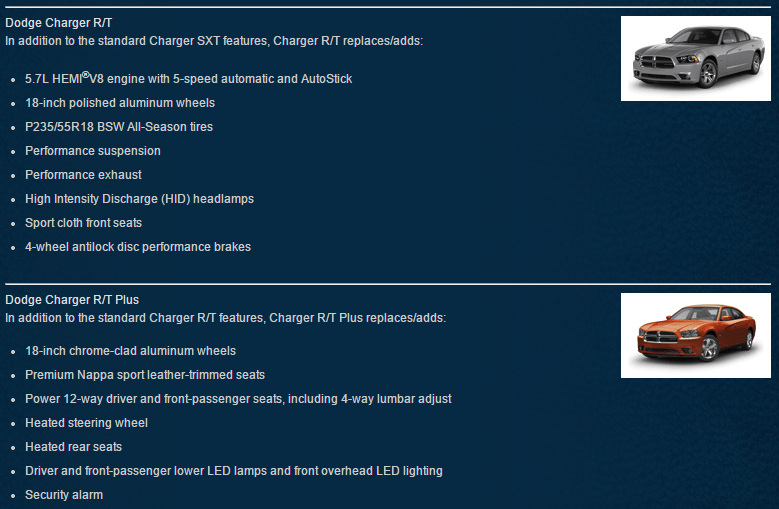 The following article is about the 2014 Dodge Charger RT MAX. If you arrived here in error you can click here to view our massive inventory or give us a call at (800) 680-0835. If you prefer email or text you can reach out to our World Class Internet Department with this form. Recently I was afforded the opportunity to check out the 2014 Dodge Charger RT MAX when I was visiting our Hendersonville Chrysler Dodge Jeep Ram location. This is a pretty awesome, near-luxury muscle car. I was pretty blown away from the second I got in to it. I did a short video which is posted on our the WNC Powerhouse YouTube Channel which I’ll embed at the bottom of the article for those of you who prefer video. As of my visit, November 24th, 2014 this vehicle is still available for sale but you’d better hurry because I guarantee this one won’t last long. If you missed it you can reach out to our World Class Internet Department at (800) 680-0835 and they will work diligently to help you find the right vehicle or locate one identical to this. In this section we’ll get our feet wet and touch on what the 2014 Dodge Charger RT MAX borrows from the previous trims, the R/T and the R/T Plus. 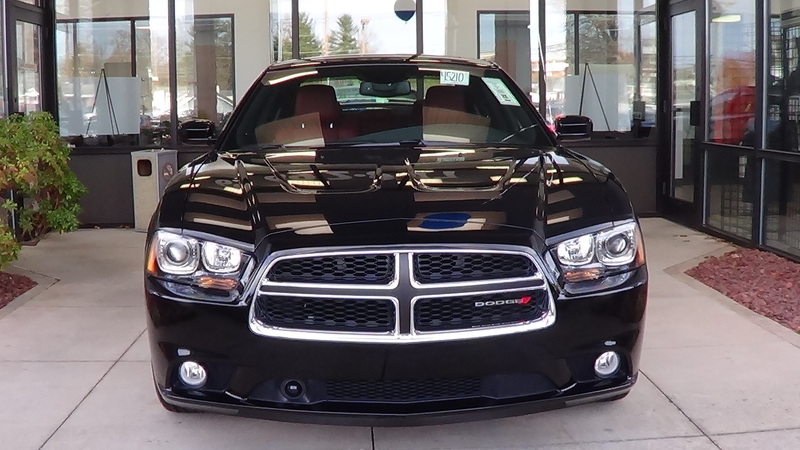 What makes the 2014 Dodge Charger RT MAX stand out? 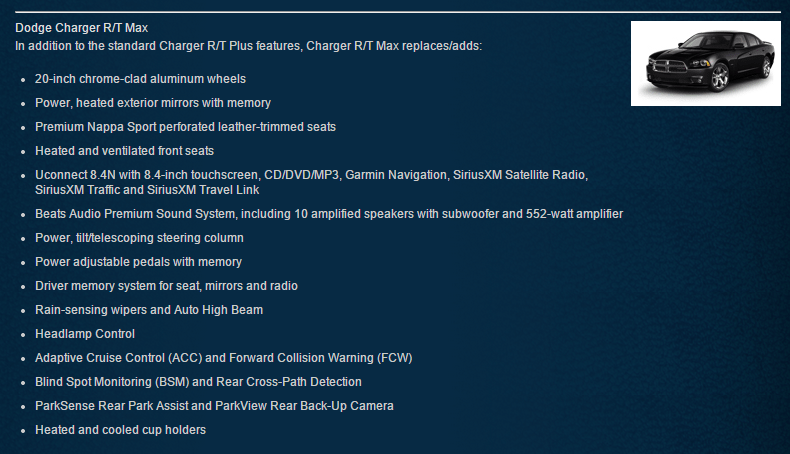 In this section we’ll dive deep into what it is that makes the 2014 Dodge Charger RT MAX what it is. As you can see the 2014 Dodge Charger RT MAX is a pretty awesome vehicle. You should definitely check it out yourself if you’re interested in a Dodge Charger. Come on by our dealership located at 401 Duncan Hill Road Hendersonville, NC 28779 to take a spin in one. If you’re still not convinced, we’ve got some pictures and the YouTube video below.